By Audrey Golden. Jul 29, 2017. 9:00 AM. The Man Booker Prize, designed “to promote the finest in fiction by rewarding the best novel of the year written in English and published in the United Kingdom,” has been awarded annually since 1969. The prize isn’t awarded to an author, but rather to a specific work of fiction. Each year, a group of judges is selected from a wide range of professions and disciplines, and previous judges have included “poets, politicians, journalists, broadcasters, and actors,” according to the Man Booker Prize website. Since its inception, the prize has been awarded to numerous writers from India or of Indian descent. In 1971, V.S. 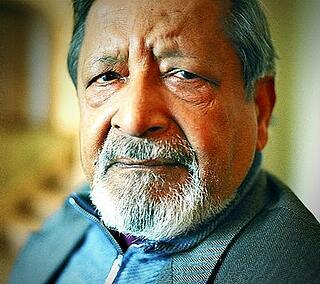 Naipaul’s novel In a Free State was the first book by an Indian novelist to win the Booker. The book is constructed of three interrelated stories. Each of the stories considers the impact of British imperialism, in different parts of the world and at different times, on the characters. What is Naipaul’s connection to India? While he was born in Trinidad, his grandparents previously emigrated from India to the Caribbean, where they found jobs as farm workers. While many of his works have clear ties to Trinidad and Tobago, his characters also deal with questions of imperialism, colonization, and the relationship among the Caribbean, Britain, and the Indian subcontinent. His novel A Bend in the River (1979) was shortlisted for the Booker. In 1981, Salman Rushdie won the Booker for Midnight’s Children (1981). Yet this wouldn’t be the first time that the award committee recognized the lasting power of this novel. Indeed, 25 years later, the novel won the “Booker of Bookers”—the best book awarded the prize during its first 25 years. 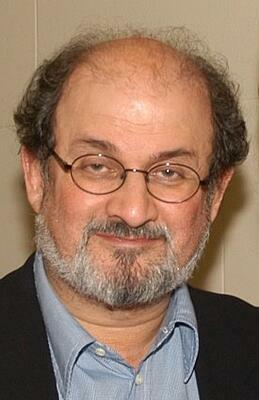 Rushdie has since had two additional novels shortlisted for the prize: Shame (1983) and The Moor’s Last Sigh (1995). Set in Kerala in 1969, Arundhati Roy’s The God of Small Things (1997) won the Booker Prize the year of its publication. In the novel, we follow two seven-year-old twins, Estha and Rahel, as their individual experiences begin to reflect upon larger political unrest in India. Kiran Desai is the daughter of famed Indian novelist Anita Desai. In 2006, her novel The Inheritance of Loss won the Man Booker Prize. The novel is set in Northern India in the foothills of the Himalayas. Like many other winners from India, the book grapples with the legacy of British colonization on the Indian subcontinent and the losses that have resulted. Adiga was born in India and later emigrated from the country to Australia. He graduated from Columbia University in New York, and later returned to Mumbai where he lives currently. In addition to the novels we’ve mentioned above, books by the Indian novelists Anita Desai and Rohinton Mistry also have been shortlisted for the Booker. Desai’s Clear Light of Day (1980), In Custody (1984), and Fasting, Feasting (1999) all were shortlisted for the award. Similarly, three of Rohinton Mistry’s novels have been shortlisted, including: Such a Long Journey (1991), A Fine Balance (1995), and Family Matters (2002). If you’re interested in reading more awarded authors from India, the list we’ve given you here should make for a great starting place.